Payment was deducted from my account but recharge didnt happen. 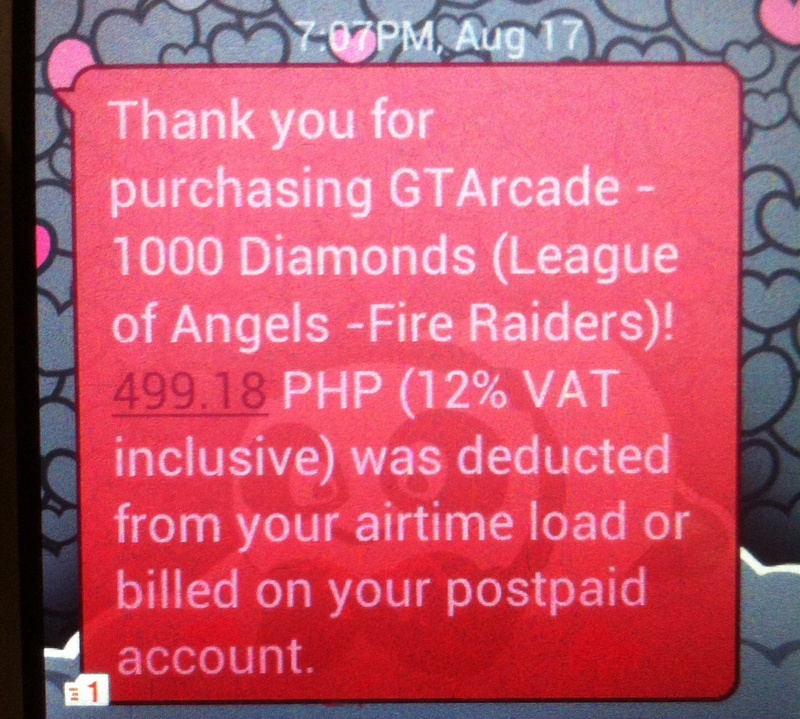 I purchased diamonds at $9.99 at approximately 7:00 UTC-4 (GMT+8) August 17, 2015.
hey there, sorry for the inconvenience! would you mind telling us your ign and server? I filed a ticket in game and the reply was to upload a picture of the receipt and send back the link of the photo; hence the post. Do i need to state my details here or wait for the reply in game? Kamusta, Since you already filed a ticket it\'s best for you to do as what they ask, send a link of the photo. You could wait for the reply on game. If you still didn\'t received it you can remind us on this thread for follow up. Need follow up. Ticket in game is still pending. i\'ve logged your issue onto our report, please please patient as the support staff get to it. And if i am not wrong, You should be able to get an order number by logging into google wallet to track your purse, It would hasten the process with the order number. Is there anything more you need? It will save us a lot of time if you state ALL the details you needed. I NEED that recharge ASAP. 2019-4-19 01:20 GMT+8 , Processed in 0.057431 second(s), 48 queries .